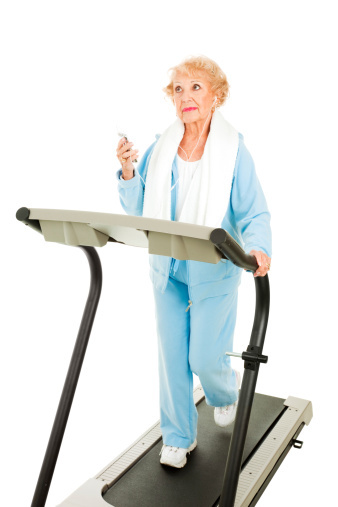 Exercise is a very popular topic in medical circles. It’s indisputable that exercise contributes to all sorts of important health benefits. Exercise gets your heart working more efficiently, pumps extra blood to your organs and tissues, improves balance and mobility, strengthens your immune system so that it can better fight disease, and triggers protective effects in the brain. With such an impressive list of health benefits, is there any way exercise could be made even more potent when it comes to bolstering overall health? In recent health news, researchers at the Faculty of Health and Wellbeing, Sheffield Hallam University in the U.K. looked at whether exercising with music could boost its health-promoting effects. The research team noted that past research has shown that endurance is improved when exercise movements are synchronized with a musical beat. What the researchers didn’t know, however, was whether such benefits were associated with reduced “metabolic cost.” Metabolic cost is the amount of energy you consume as the result of performing a given work task — which is usually expressed in calories. For their study, the U.K. researchers compared oxygen consumption and related physiological effects of exercise conducted synchronously and asynchronously with music. Three music tracks, each recorded at three different tempi were chosen for the clinical trial. Ten men were recruited for the trial and each cycled for 12 minutes at 70% maximal heart rate. When the men exercised on the cycle machines, accompanied by three different sets of music (slow tempo asynchronous, synchronous, and fast tempo asynchronous), the research team measured various physiological effects. They found that oxygen uptake differed according to musical tempo — it was lower in the synchronous compared to the slow tempo asynchronous condition. The researchers concluded that exercise is more efficient when performed synchronously with music than when musical tempo is slightly slower than the rate of cyclical movement. Or, in other words, the next time you exercise, follow this health advice: try listening to music that matches the rate at which you’re moving — whether it’s jogging, cycling, or some other activity. This should improve your oxygen uptake, making exercise more efficient and boosting its health effects. Read this article to find out how music could help lessen pain symptoms.